البرنامج اكثر من رائع ولاغنى عنه لاى جهاز ويستحق التجربة والتقييم . 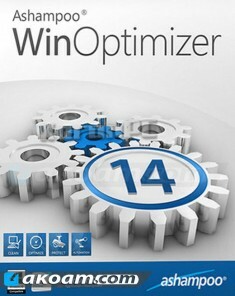 Ashampoo WinOptimizer 2015 is such an easy-to-use suite of tools for maintaining and optimizing your Microsoft Windows computer. Ashampoo WinOptimizer 2015 users benefit from an efficient, quick and safe Windows maintenance as well as a large number of powerful and user-friendly tools which enable them to customize their Windows computer exactly according to their needs. Whether you’re looking to clean your Registry, clear out unnecessary programs that run on startup, undelete files, defragment your hard disk, optimize your internet connection, or perform a simple, one-click optimization, you’ll find it in Ashampoo WinOptimizer 2015. And you’ll find a lot more as well. 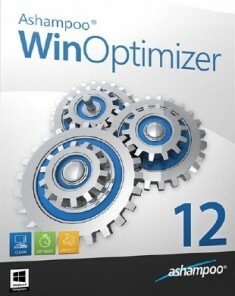 Ashampoo WinOptimizer 2015 keeps your Windows installation free of unnecessary garbage and running smoothly while other computers just get slower and slower. With Ashampoo WinOptimizer 2015, it’s so easy to tune Windows! Ashampoo WinOptimizer 2015 is designed to be as simple and intuitive as possible. Via the clearly structured Main window you can immediately access all six function groups, in which over 20 modules with hundreds of options and functions are assembled. In addition, all the modules have the same layout, so as soon as you’ve learned how to use one module, you’ll feel at home in all of them. All the information you need is also displayed in the main dialog of each module or rather function. To optimize its security functions, Ashampoo WinOptimizer 2015 offers a backup. The program itself creates backups when necessary and stores them with a short description and the time they where created. Using the backup function you can reverse all changes made to the the Windows registry or important changes of the system configuration. Redundant files (e.g. temporary files), however, are not backed up here. Features The features on this Ashampoo application are divided into categories: system maintenance, performance improvement, Windows customization, system analysis, tools and general. 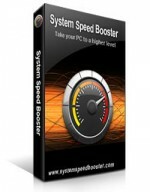 You can optimize your system in one click. WinOptimizer can defragment your hard drive. Additionally, WinOptimizer 2015 also includes a duplicate finder, link checker, font manager and a restore point manager. This application from Ashampoo can also save icons, encrypt or decrypt information, show you how much disk space you have and handle your data backups. As we mentioned before, this system repair software also has a disk doctor that can help you reduce the chances of running into computer crashes and error messages – and dare we say it, even the Blue Screen of Death. As if that weren't enough, Ashampoo WinOptimizer 2015 also weeds out applications that slow down your computer's boot-up process, gets rid of information from your internet activities that you don't need and cleans up your Windows registry so your operating system can run more smoothly. Interface You can see the time and consideration Ashampoo has put into the design of WinOptimizer's interface. The interface and layered menus are a definite strong point for this system repair software. It is both intuitive and easy to navigate in the application. You'll be able to quickly learn about the different features that this Ashampoo system repair software offers when you first start using it. Performance Ashampoo WinOptimizer 2015 accomplishes most tasks quickly. The Defrag 3 application is also speedy and performed analysis very quickly on the 500GB hard drive we tested it with. The menu system is fast and responsive, even when we were running services in the background. Operating System: - Windows® XP, Windows Vista®, Windows® 7 and Windows® 8.